Another year, another E3 - and once again, Nintendo skip the traditional press conference in favour of online broadcasts to unveil their latest upcoming works. Airing on June 14 and 15 respectively, these live videos revealed further information on already announced titles whilst also confirming a number of new ones for both the Wii U and 3DS, many of which will hit both systems by the end of the year. I gave my initial thoughts on this game back in my overview of March's Nintendo Direct, but Nintendo have now given us an even bigger insight to it's gameplay mechanics and even a final release date: October 7. As many know, Colour Splash generally abandons the style of the original two games, and even many complexities of Super Paper Mario, and instead adopts the basic traits of Sticker Star; there's no real story, the characters appear to be generic Toads, battles rely on the use of tools to collect that perform attacks (this time cards as opposed to stickers), some battles must be won with certain items which may be just as vague to figure out and find, and it seems said battles have no real purpose at first glance due to a lack of EXP points and a levelling up facility. The inclusion of the paint hammer to restore colour to each landscape looks pretty cool, and I do like some of the implementations of the Wii U's touch screen, but this isn't enough to distract from the fact that this is recycling too many bad ideas from Sticker Star. So, naturally, the dislike bars on Youtube trailers are blindingly high. As for me? Well, as I've said before, the art style is certainly gorgeous, and exactly how a HD console Paper Mario should look. But as for gameplay? Nothing really won me over, and in fact the more I saw, the less interested I became. All the magic, all the ingenuity, all the complexity of the original trilogy seems to be shoved aside yet again in favour of a dumbed down, somewhat patronising gameplay formula that just indicates Nintendo and Intelligent Systems never learnt from their mistakes with Sticker Star, and that Miyamoto's obsession with removing all the compelling features just because he dislikes them is egotistical and thoughtless beyond measure. I'll just keep sitting here and waiting for my true successor to The Thousand Year-Door. Arguably my most anticipated games in the coming months, Pokémon Sun and Moon will come to the 3DS this November, introducing what is typical of a new game in the series; a huge lineup of new critters, a brand new region, refined visuals, and new uses of the 3DS' hardware, whilst maintaining the gameplay we've all come to love over the years. Whilst it must be said I do have my fears that there may not be quite enough room for the essential innovation, which lead to me getting bored of X and Y abnormally quickly, I'm still greatly impressed with the new ideas and visual updates coming to fruition. The newest region, Alola, isn't a large island like before, but instead a series of islands that the player travels between on their quest; Nintendo has dubbed it the Pokémon world's version of Hawaii, and the various island landscapes promise to make the overall world more diverse than ever before. The legendary mascots, Solgaleo and Lunaala, tie in with the overall narrative more so than previous legendary Pokémon; not just due to their central importance as representations of the sun and moon. The focus on 3D visuals is stronger than any previous game, even the last two entries on the 3DS - a refreshing change and a timely update, making both the overworld and battle scenes look more vibrant and lifelike than ever before. 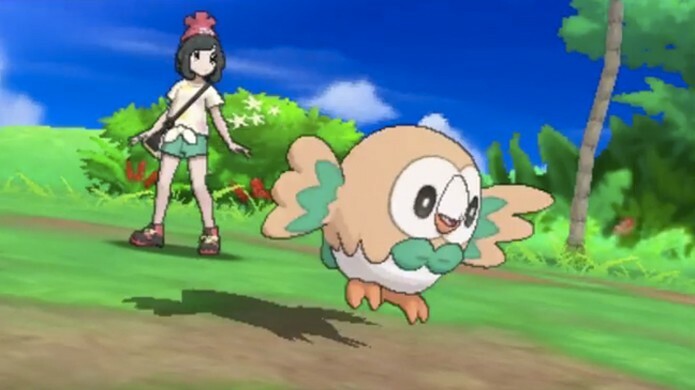 I for one love the new starters, and Popplio will certainly be my pick, and I certainly can't wait for the finished product come November. This is the game everyone turned to Nintendo's E3 stream for; and it certainly didn't disappoint. Releasing for both the Wii U and the Nintendo NX in 2017, Breath of the Wild will bring the Zelda series into a new level of scope thanks to the improved hardware of these next gen systems, allowing us for the first time to experience Hyrule as an open world adventure in a similar style to games like Skyrim. The game adopts a cel shaded look combined with a realistic art style, similar to Skyward Sword, and while the trailer didn't give us much to grasp in terms of the overall narrative or gameplay direction, the various glimpses of each of the many activities certainly got many fans jizzing with excitement. Famously, the amongst all the establishing shots showing of the game's gorgeous visuals, one can hear a woman's voice: open your eyes....open your eyes...wake up, Link. Whether or not the game will have voice acting is not yet confirmed, but this brief snippit has lead many to believe it is possible; something I welcome if Nintendo master it, as it'd certainly help fit into the larger, cinematic scope they're going for. The game itself looks absolutely superb at first glance, showing off some interesting new mechanics (even if it's hard to grasp them out of context) and methods of exploration. Hyrule itself will be more open and vast than ever, allowing players to explore all sorts of intricate pathways and routes instead of just following predetermined gameplay paths with a little bit of freedom here and there. I noticed some parts where the visuals could be improved, namely with textures and backgrounds (but I'm sure they will be), and I must say I hate the title (because breath is just an awkward, funny word...sorry), but otherwise, I can't wait. Some other little bits and bobs were also revealed, including Mario Party: Star Rush, the newest installment to Nintendo's gargantuan party franchise, and the second on the 3DS after Island Tour. It looks like mild fun, and certainly may be amusing for the casual crowd, but for me nothing really grabbed my attention; I've not played an entry to the series in so long and lost interest in it ages ago that newer installments will never maintain my interest. Nintendo also unveiled BoxBoxBoy, a platformer being developed by their primary HAL Laboratory team, and a sequel to their 2015 game BoxBoy. It once again features the main hero Qbby navigating a number of stages, using his ability to generate a limited number of boxes to overcome large gaps, tall obstacles, and claustrophobic mazes; however, he can now use two sets of boxes at a time, creating a new wave of challenges. As before, it kinda reminds me of a fun little game you'd find as a mobile app, and so it's certainly fitting for a nice eShop downloadable. Most other things came and went for me, not because they were bad per se, but because many were third party titles of franchises that, while certainly famous and rightfully so, don't interest me as much: namely Monster Hunter Generations and Dragon Quest VII: Fragments of the Forgotten Past. Nintendo's secret weapon this time around was of course Zelda, and while it certainly looks superb, perhaps there could've some more variety. Colour Splash, as I've said, has gone from mediocre but having possible potential to absolutely dreadful, and the lack of NX news is a bit of letdown. Whilst it was much better than their 2015 presentation, I still found myself kinda bored after Zelda and Pokémon were over and done with.